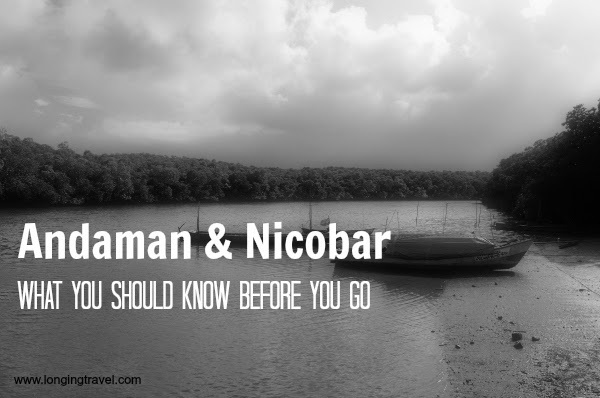 We went to Andaman& Nicobar for ten days, you would remember it from my last post. Now it is time for me to help you plan your trip to Andaman the way I helped you plan your trip to Diu. This post is more for those who have researched about Andamans but are looking for some first hand experience and reposts. In case you are looking for the First Hand guide it will be out soon. Now that you have decided to visit Andamans the far Away Indian territory with beautiful beaches, forests and wildlife it is time to take note of all the things below. You will thank me for it later. 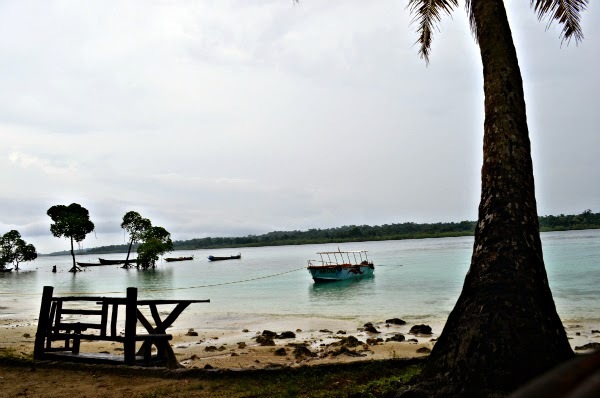 Transport in Andaman can be the biggest spoil sport for your plans and you will not know what is going to happen unless you land in Andaman or get your tickets booked through an agent. 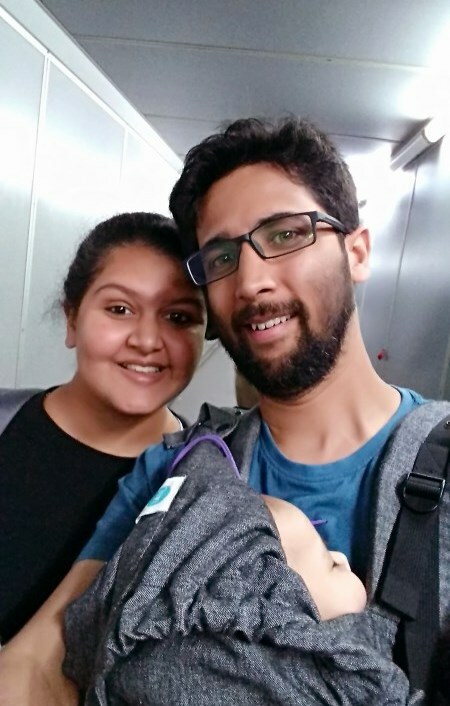 If like us you are DIY ticket bookers go straight to phoenix bay jetty in Port Blair from your airport, and book your ferry tickets. Bus terminus is close by and in case you are looking to catch a bus to go up north get your tickets there. Ferry advance booking counters are closed on Sunday and even when they are open you will have to endure a long line filled with agents who always seem to multiply before you. If you know when you are going to leave the other Island get that ticket booked here too. Earlier you book the tickets more chances you have to get the ticket and not have your plans pushed back due to ticket unavailability. After all the exercise remember a ticket is no guarantee that your vessel will leave on the designated date in case of bad weather the ferry will be canceled along with all issued tickets. You will have to buy fresh tickets. Another thing which you need to consider is the timings, there are no transport options in the night an almost every thing moves around 6 in the morning. Do not attempt to get from one place to another far away in a day or night. Plan in some stop days and options. If someone has the link for online booking of ferries or bus please leave it in the comments. Andaman is every one's Health care dream. Government provides free health care and hospitals are quite clean and well maintained. We had to use the services on multiple occasion and were pleasantly surprised to find reliable services available on even the remote Long Island. We were treated with injections and medicines with great recovery and all of that for free. 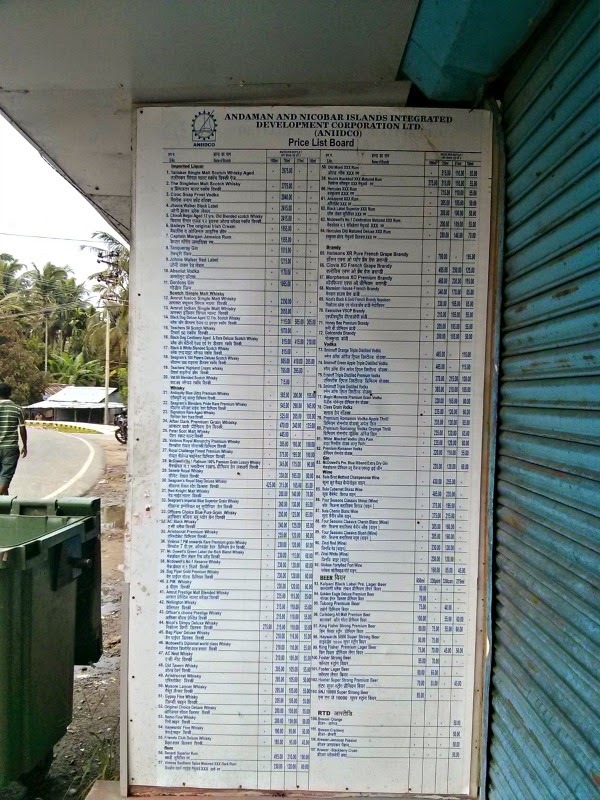 On the other hand it is quite impossible to find pharmacies anywhere except for Port Blair. Andaman is almost little India. You will people talking in Bangla, Tamil and most surprisingly Hindi. English is widely spoken and most Indians as well as foreigners will rarely have problem communicating. Like the language the culture is heavily influenced by the mainland and it is quite evident in clothes, interactions and celebrations. Durga Puja is a big festival and though it is difficult for any on to match the craze in Gujarat or Bengal Andaman did well with beautifully done Pandals and blaring songs. It might not be the best way to celebrate it but it is a big festival like many other mainland festivals from different regions. Just like the language and culture food is heavily influenced by Tamil Nadu and Bengal. You will find piping hot idli and parota in the morning for breakfast and thali for lunch and dinner. Taste and style of curries will vary depending on whether you are in a tamil establishment or a Bengali one. In the main Andaman Island we came across mostly Tamil and South Indian influences in food while it became majorly Bangla as we traveled to Havelock. Liquor like all UTs in India is very cheap, you can get a chilled beer bottle for under 80 from a Government shop and for around 120-150 in one of the expensive bars. Other spirits are similarly priced with known Indian brands available in a few hundreds to Johnnie walker aged running for around 2500. Andaman is like most of India and yet different. Here you can get clean accommodation for two starting at 350-500 or you can spent 5000 a night easily for an average accommodation in one of the high end resorts.This was a welcome relief after all the fretting about Andaman trip. Most cheap accommodation come without attached toilets especially in the islands though you will get good accommodation with attached toilets for 500-600 in Port Blair. The places we stayed in were not just clean and well maintained the toilet to user ratio was also very good. We rarely missed attached toilets except when nature called late at night. Rooms with attached toilets run from 100-1500 upwards and have no real top limit. Air conditioned rooms seem to be in big demand especially by Indian tourists, maybe it was the time we had visited but we saw no need of AC rooms. If your room has ventilation rest assured the island has enough sea breeze. Actually I for one needed a sheet or two to keep away the cold which would settle in late in the night. Food is likewise quite inexpensive as long as you stick to local fare especially vegetarian. In case you want some meat choose sea food over chicken and you will still have a cheaper deal. Rice is the accompaniment of choice though you might get parota or roti if you are lucky. The People of Long Island- Nobody spared us a look and we loved it! To be true very few will turn and look at you unless you approach them first. People here not only respect privacy but are quite content looking after themselves. You might have a few asking if you need an auto but a single nod will solve the problem even at the Airport. That being said this is not true for the Havelock Jetty where you will find agents in droves approaching tourists. Even though most tourists come here as a part of some group tour you will find touts trying to help you get everything from taxi to hotel. 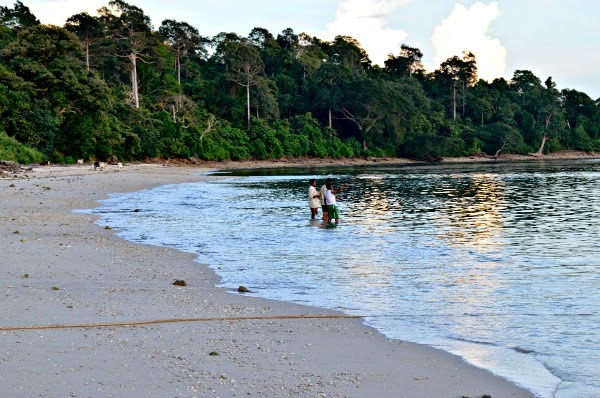 There is no Internet in Andamans. You might get fleeting connection on your phone in Port Blair but don't expect a regular 2G service let alone 3G running with any force. We did spot a few cyber cafe and one of our guest house in Port Blair offered WiFi in reception area for 60 and hour. In Havelock though you can book every thing online the only Internet we found was satellite Internet costing around 150 for 30 minutes of usage. Forget about your mail and enjoy the nature. If you have a BSNL connection you rare the king in Andaman, and you will have network on all islands. Most other carriers are limited to Port Blair and Havelock with some connection around Rangat. Like most remote areas in India BSNL is the way to go. If there is something you would like to share or ask put it in the comments below. I would be happy to help. Nice article and agree to the issues faced for ferry tickets in Andamans. There was no set platform for online ferry tickets. I have come across one that may be helpful https://trip.experienceandamans.com/all-ferry.html . Hope it ads value to people traveling to Andamans. Hey.. Thanks for this. Really helpful. Would you recommend game-fishing? Also, would love to stay at a community housing place or a hostel so we can interact with new people - any suggestions? Thanks Esha, none of us are into fishing so can't comment on that but there were quite a few places advertising it. My suggestion ask around wherever you live. 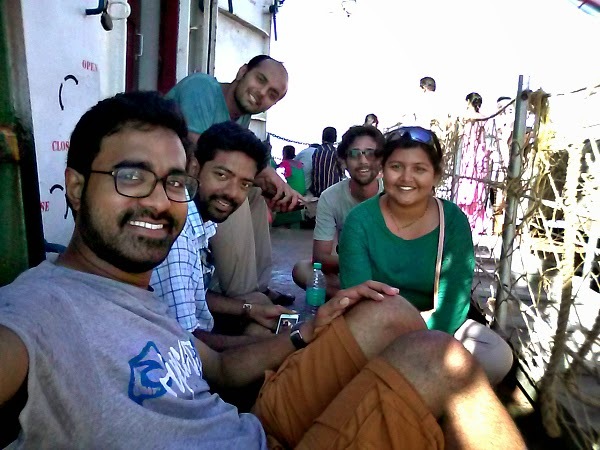 In port Blair we were at ashiana and it seems like the best place around. 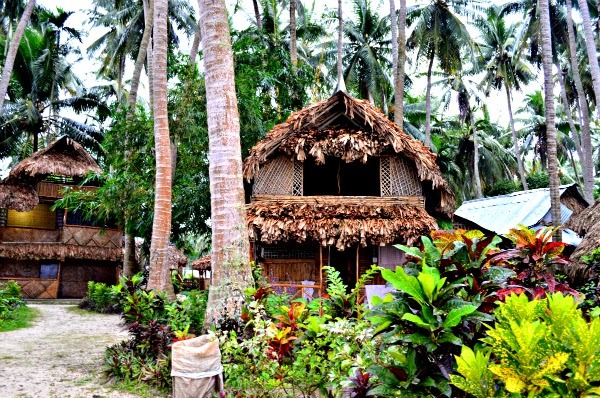 For a social place nothing like a dive resort try dive India or barefoot in Havelock. They were the luckiest places we saw.